Jeanneau Boats UK Dealer for North Wales, North West and the North East. 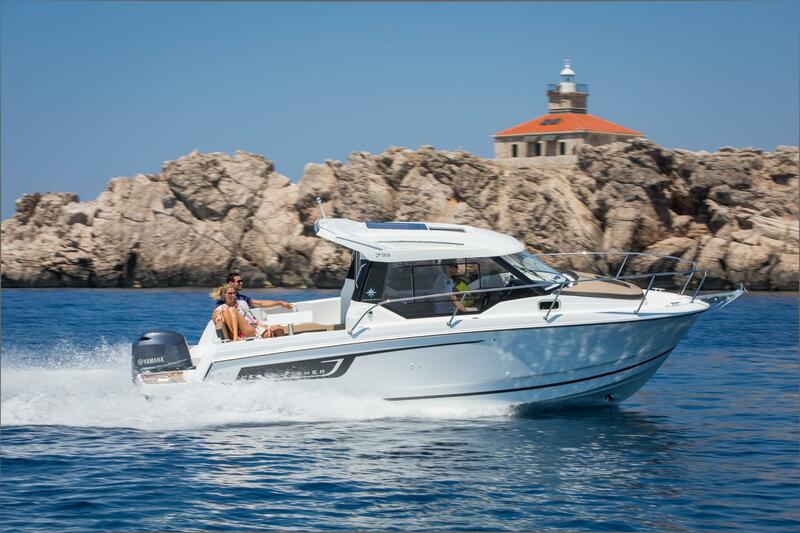 Jeanneau offer a range of boats suitable for the family; seaworthy, safe and comfortable. 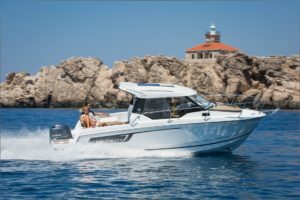 The Jeanneau Motor Boat range gives you pure seagoing pleasure from day-boating to cruising and will continue to match your sailing needs with Comfort and reliability.Whatever your wish, Jeanneau are sure to supply a range of models to suit you. From the small, punchy Cap Camarat motor boat, Leader Sports Cruisers and class-leading NC Motor boat range. We are certain there is a Jeanneau Motor boat that will fulfill and exceed your expectations. If fishing is your passion, a Merry Fisher Motor boat are stable fishing boats with ample deck space and the comforts of practical and affordable cruising. All the boats can be customised to your specification. Options as diverse as upholstery choices, covers, engine options and trim level packages will enhance your enjoyment. 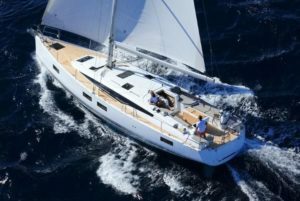 Jeanneau Sun Odyssey Yachts are all about sharing and enjoying life at sea together. Models available from 32’ to 64 ft’, all of the Sun Odyssey & Yacht models are tireless cruisers designed to deliver comfort in all its forms, beginning with a stable, high-performance hull. The unrivalled quality includes, sunbathing platforms and interior space that gives everyone the space they need to relax and enjoy the pleasure of being together. Size-for-size, every Jeanneau Sun Odyssey model offers maximum comfort and convenience. A modular layout providing every family and every crew member with the boat they need, complete with layout solutions and trim levels tailored to your own requirements and lifestyle at sea. Safe and spirited, Jeanneau Sun Odyssey Yachts are capable on longer offshore journeys. A traveller at home on all the world’s seas, a Jeanneau Yacht delights even the most demanding owners.